Despite what we know of the dazzling English director Alfred Hitchcock, The Lady Vanishes has a plot that is surprisingly sparse and deceptively simple, and yet it is so assured and even comedic, that it’s no wonder that it’s considered one of the best from his early period, before coming to Hollywood. 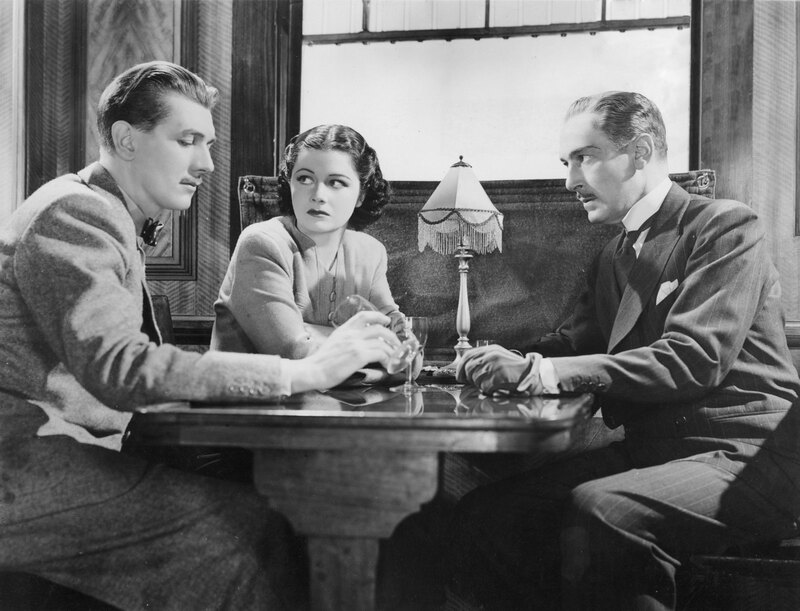 Two young travelers (Margaret Lockwood and Michael Redgrave, in his film debut) become embroiled in dollops of intrigue and espionage after an elderly woman, Miss Froy (May Whitty) disappears during a transcontinental train ride. After a precise and protracted slow burner buildup, Hitch ratchets up the tension with all his trademark touches, perverse as ever, for the denouement, demonstrating his peerless ability to wed the relentless demands of the mystery/thriller genre with the cool and canny introspection of the chamber piece. 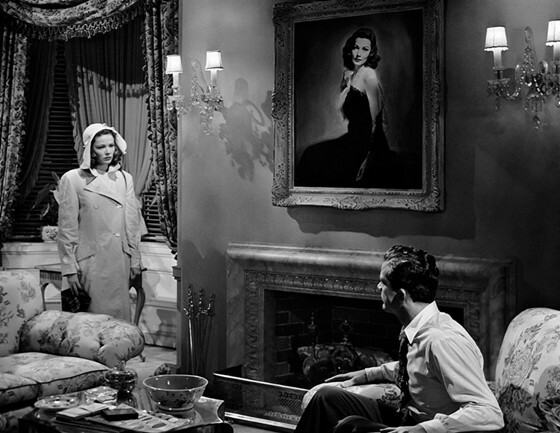 A compelling murder mystery and an elaborate psychological account of obsession, Otto Preminger’s first-rate film noir, Laura, is about as stylish and cynical as the genre gets. Narrated by newspaper columnist Waldo Lydecker (Clifton Webb), Laura tells the sordid story of Laura Hunt (Gene Tierney), victim of a not-so-subtle shotgun blast to the face, and police detective Mark McPherson (Dana Andrews), who is on the case. Unfortunately for McPherson there is no shortage of suspects, his infatuation with the case and with Laura is soon of the unhealthy variety, and one night, in the thick of it, more or less, McPherson falls asleep in Laura’s penthouse, in front of a portrait of her, to be precise, only to awaken and find you’ll-never-guess-who in the room. Joseph LaShelle’s lush and dreamy black-and-white cinematography deservedly won him an Oscar (the film was nominated in several categories), and was a big success for Preminger, helping to establish him in Hollywood, and the film’s stars all shine, too, including a young Vincent Price. Pauline Kael referred to Laura as “everyone’s favorite chic murder mystery”, it was also a favorite film of the Cahier du Cinema. Rarely does pulp fiction come across as eye-catching, as flashy, or as hard to forget as Laura. Hanging Rock, a geological formation in central Victoria, Australia, on Valentine’s Day, 1900, is the setting for Peter Weir’s haunting mystery, a fever dream of youthful, fragile femininity and buried sexual hysteria. 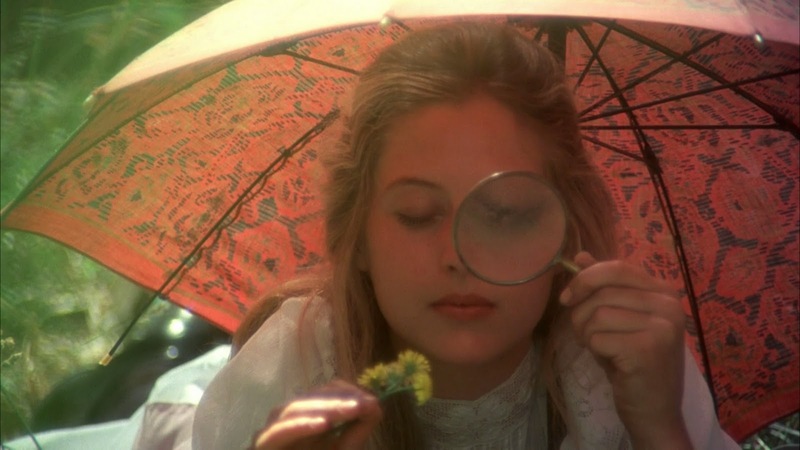 Based on the 1967 Gothic novel by Joan Lindsay, itself purportedly stemming from a troubling true story, Picnic at Hanging Rock is an experiential masterpiece. A group of girls (19 students and two teachers) from a strict boarding school, Appleyard College, enjoy a day out and the titular picnic. During the dalliance three of their number and one of the teachers up and vanish, seemingly without a trace. A week later one of the missing girls is found, shoeless but otherwise unharmed, and with no recollection of what’s gone on. Weir’s brand of unsettling cinema was a huge arthouse success and, coupled with Russell Boyd’s inspired and elegant cinematography, has been baffling and betraying audiences ever since its release. There may very well be no other film as poetic, problematic, nostalgic and haunting as this one. 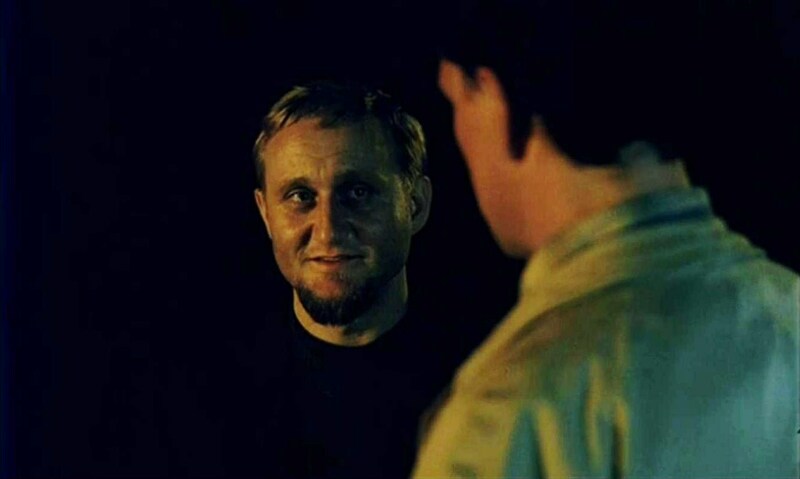 George Sluizer’s Dutch chiller (that he’d later remake in 1993 for American audiences — with a bland Sandra Bullock no less), is a tightly wound, harrowing ordeal that’s full of sinister surprises, including one of the most unsettling endings of any film. Rex Hofman (Gene Bervoets) and his girlfriend, Saskia Wagter (Johanna ter Steege), are travelling through the bucolic countryside of Southern France when they make a seemingly innocuous stop at a gas station. It’s there, in broad daylight, when Rex’s back is turned, that Saskia disappears. Finding her will be an endeavor that will consume Rex, and years will pass before he gets closer to the tragedy. There is a chilly precision that Sluizer presents in The Vanishing that is both elegant, ingenious, and treacherous, and rewards repeat viewings. Based off of the novella The Golden Egg by Tim Krabbé (who co-wrote the screenplay with Sluizer), the uncompromising finale is one of the most startling, and disconcerting in cinematic history, and is certainly what led the legendary Stanley Kubrick to refer to The Vanishing as “the most horrifying film I’ve ever seen”. 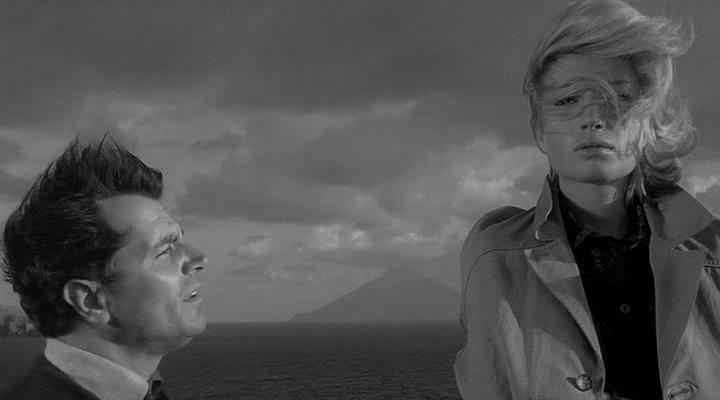 Michelangelo Antonioni’s L’Avventura is an aloof, maybe even mean-spirited, masterpiece about existential dread, ennui, alienation, and a missing woman. L’Avventura opens with Anna (Lea Massari) and her friend, Claudia (Monica Vitti) in a villa outside of Rome. They are soon joined by a circle of friends that includes Anna’s beau, Sandro (Gabriel Ferzetti), and en masse they board a yacht bound for Lisca Bianca. Anna, and her friends by proxy, seem to be spiritually impoverished and morally bankrupt. They all share a chilly cognisance of themselves and one another, a testament to cultural malaise. Antonioni, an artist of great and considerable breadth, quickly shatters the atypical three-part story structure when, at the close of the first act, Anna disappears. Claudia and Sandrot embark on a lukewarm pursuit of Anna, more a wheel-spinning idle exercise really, as neither seem capable of solving the mystery. Not only do they have little to go on, their studied langor and jaded tendencies seem to stymie their advances (except perhaps their advances on one another). Their search becomes an impotent one, though one that unfolds with grace and understanding. This was Antonioni’s breakthrough film, winning the Jury Prize at Cannes that year, and establishing Vitti as an icon of Italian cinema. So explicit and painterly was Antonioni’s canvas-like frames that he elevated pop art to high art.